According to the Office for National Statistics, we spend an average of £23.50 every week on clothes – and with a population of more than 65million people in the UK, that’s a lot of money! So it can be rather infuriating when we have to throw our clothes away because of rips, tears and stains. If you want to keep your clothes a little longer, and save money on dry cleaning bills, take a look at this list from Mr Lender of simple repairs you can do at home. If you have a stubborn stain on your clothes which simply won’t budge in the wash, don’t despair – you may still be able to save it. The first tip to removing stains from clothing is to catch it as early as possible. The sooner you try and remove the stains, the easier they’ll be to remove. Most stains will come out once they’ve been soaked in cold water with laundry detergent first then washed as normal. It is also important to make sure the stain has fully gone from your clothing before drying it – particularly if they’re going into a tumble dryer or on a radiator. Heat can often make stains more permanent and even a dry cleaner will have trouble getting them out. Your clothes may also find their way to the back of your wardrobe or into the bin if buttons go missing. Most clothes today will come with spare buttons attached which can be easily sewn back on, though if you do lose a button but don’t have a spare you can usually find very similar ones in craft shops and on websites such Amazon and eBay. 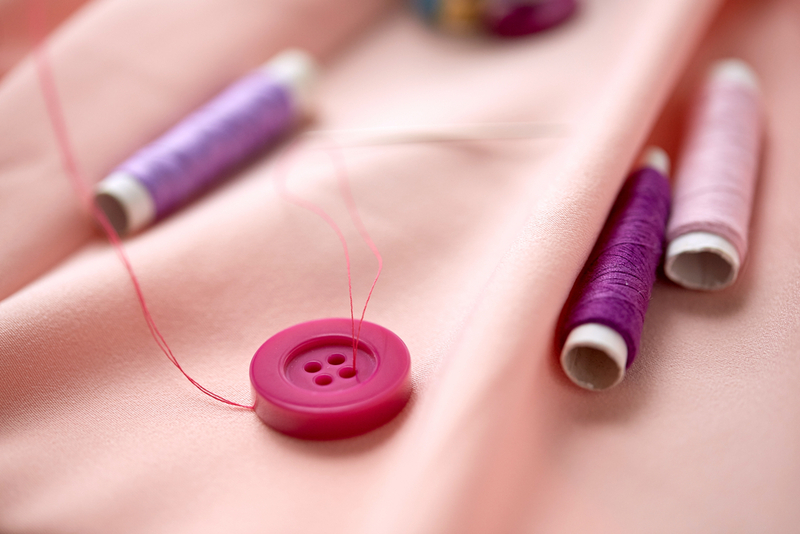 To sew a button on, simply thread the needle and tie a knot in the end of the cotton. Work the needle back and forth between the holes on the button until it feels secure, and then tie a second knot on the back of your clothing once you have stitched the button in place. 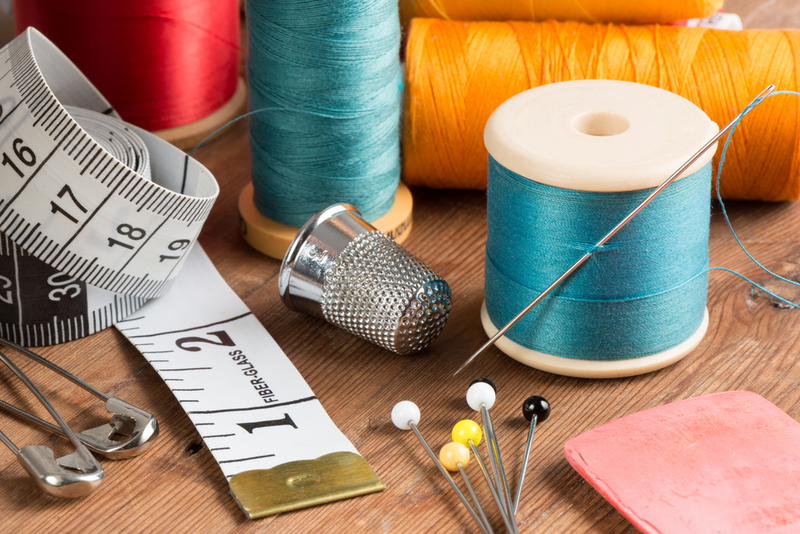 You should always use a strong and sturdy needle when sewing buttons, otherwise you run the risk of it snapping and causing damage to the clothing or yourself. If the hem falls down on the bottom of a pair of trousers or a skirt, it’s quite likely it’ll be making its way to one of two places – the dry cleaners or the bin. However you can quite easily fix a hem at home, and it doesn’t require any sewing too. If you’re looking to repair a dropped hem, head to your local supermarket or craft store and pick up some hemming tape. Simply cut a piece of tape the length of the hem and place the tape along it – you can hold the tape in place with pins if you need to. Fold the hem back on itself, making sure the hemming tape is well hidden, then iron along the hem. The tape will act as double-sided sellotape and will hold the hem in place. Woolly socks are certain to pick up holes at some point or another – but before throwing them away, try darning them yourself instead. 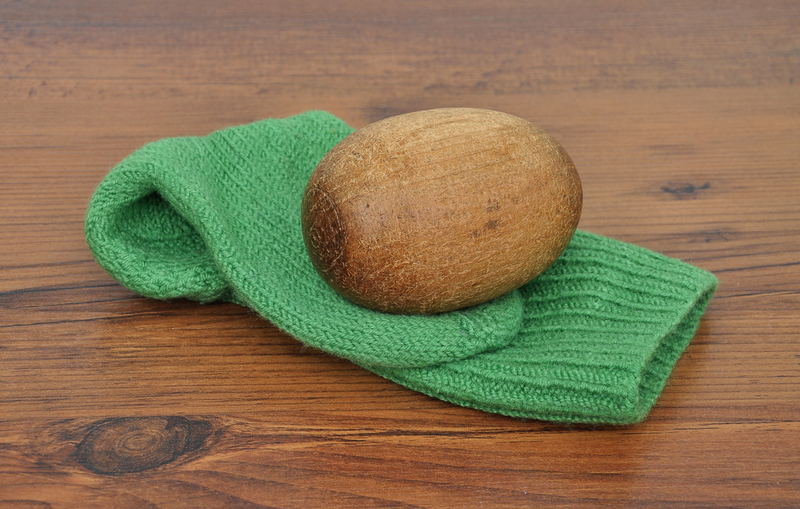 The easiest way to darn a pair of socks is to buy a ‘darning egg‘. This will help you to sew up any holes in your socks with ease. To close up any holes, simply thread a needle then weave it back and forth to cover the hole. Try and catch the pieces of sock which haven’t been worn away yet to provide extra stability and prevent it fraying anytime soon. After time, trousers and jeans can become a little worn. The knees can become a little thin and the bottoms may begin to fray. 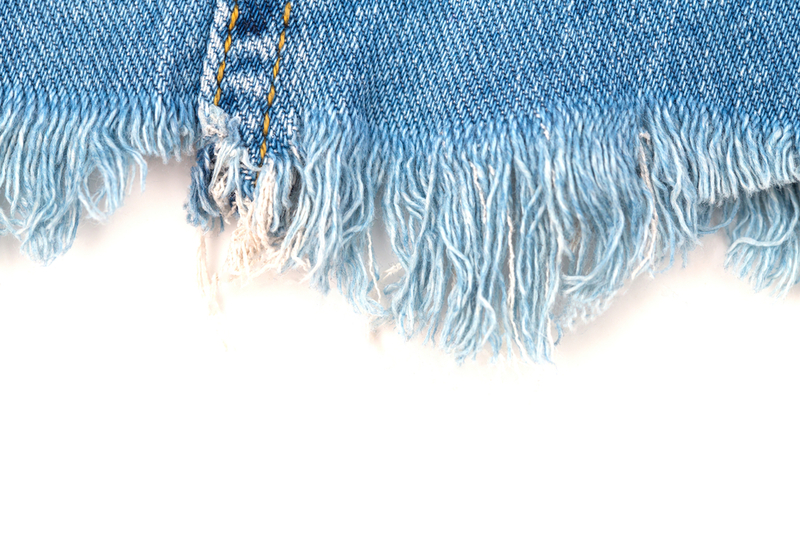 If your jeans and trousers are now simply irreparable and cannot be sewn back together, utilise what you have left. Turn your trousers and jeans into shorts with a few simple steps. If you’re working with a pair of jeans, you should begin by washing them first as denim tends to shrink slightly after it’s been washed. Next, mark out how short you want your shorts to be and, using a ruler and some chalk, mark a straight line across the leg. Then, use a pair of sharp scissors to cut all the way across the line you’ve marked out. To finish the shorts off, you can either create a raw edge effect by using sandpaper to smooth out the edges and prevent excessive fraying, or you can fold the edges over and stitch across the hem to hold it in place. Sometimes it is simply impossible to make some repairs yourself, and you need to leave it to the professionals instead. 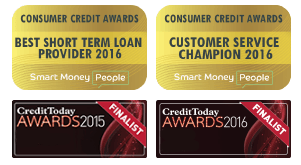 If you think a repair is a little too tricky for you to do at home, or if you’re ever unsure of how to do something, head to the professionals and see if they can help instead. Occasionally no matter how hard you try, some things are simply irreparable. No matter how much you try and repair something at home, or how many trips you make to the dry cleaners, you need to know when to finally give up. If your clothing is beginning to be 90% repairs and only 10% original material, you should maybe consider taking it to a clothing bank, or giving it away to be recycled.